Phase two of the nursery industry’s review of Tree Standard AS2303:2015 is now underway, with a series of workshops to be held around the country next year, so as to update industry on recent findings and ensure any changes to the standard are fit for purpose. The standard is commonly used by production nurseries, local councils, developers and landscape architects and seeks to provide growers and buyers with increased confidence that trees will have a long, productive life once they leave the nursery. Phase two will be led by the same Western Sydney University’s research team that delivered phase one of the project in 2016-17. 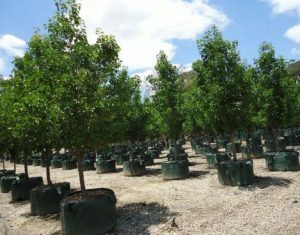 This involved measuring the above and below ground morphological qualities, as well as the size index, of 13,000 trees across 23 nurseries. The project will continue to be funded by Hort Innovation using nursery research & development levies and funds from the Australian Government, with strategic oversight from a Steering Committee that consists of growers and industry representatives. A key part of phase two is to extend the research results from phase one, which found that the current standard may in fact be too narrow or limiting for Australia’s varied growing regions and climatic zones. To deliver these results, the research team will hold a series of six workshops across Australia’s major capital cities, with growers, local councils, town planners, developers and landscape architects, strongly encouraged to attend. Attendees will also gain access to a suite of resources around the tree standard based on the current measurements, as well as new information, such as a ‘how to guide’ for customers. During these consultations, growers, researchers and broader stakeholders are encouraged to review the findings and contribute to the update of a new or revised standard (should it be accepted), with the final report presented to the Australian Standards Committee.